When Mrs. Eisele Took Manhattan: Big City Failed To Awe Minnesota Journalist In 1936, Country Home magazine sent its "rural correspondent of the year" Susan Eisele on a trip to NYC. 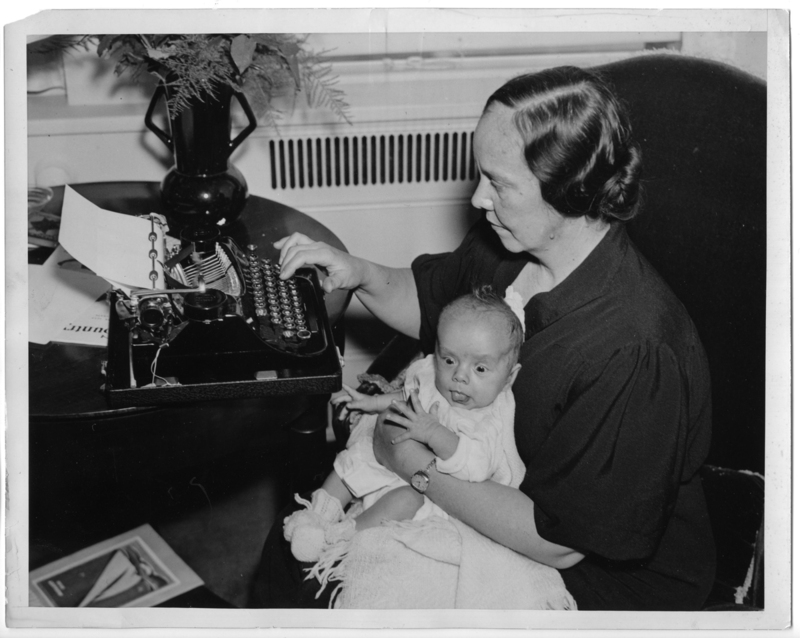 With a 6-week-old in tow, she soaked up the city and hit it off with hard-bitten newspapermen. Susan Frawley Eisele holds her 6-week-old son, Albert Jr., at the Waldorf Astoria hotel in New York City in 1936. Eisele, of Blue Earth, Minn., won an essay contest with Country Home magazine and was named best American rural correspondent of 1936. In the summer of 1936, a plain and sturdy farm woman from southern Minnesota traveled to New York to meet the mayor, stay at the Waldorf, dine at the Stork Club and make headlines in every major newspaper. 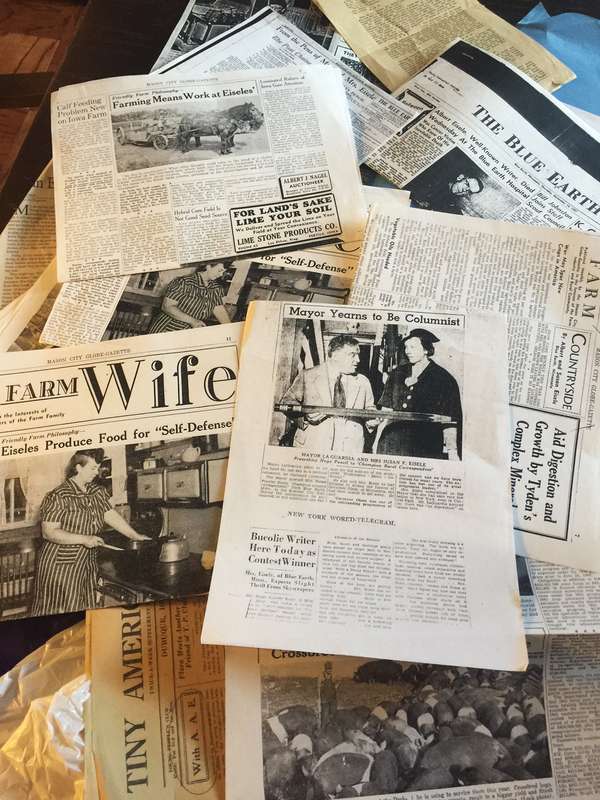 That woman was Susan Eisele, my grandmother, who Country Home magazine selected — out of 4,000 entrants — as its "Rural Correspondent of the Year." The award came with a $200 prize and a two-week trip to New York and Washington. All the major newspapers published stories about Eisele's visit to New York City, including a photo of her receiving a giant pencil from Mayor Fiorello LaGuardia. To understand what a big deal it was to go from Blue Earth, Minn. — more than a hundred miles south of Minneapolis — to Manhattan in 1936, consider this: My grandparents' farm didn't even have electricity yet. Susan wrote her newspaper columns by kerosene lamp. She had started writing in high school, and her small news stories about rural topics had been published in regional papers since the 1920s. At the time of the award, she had a column about life on her family's small farm. Her editor entered her in the contest without her knowledge, and she found out she won on the day she gave birth to her sixth child — my father. So picture this sturdy farmwoman, just shy of 40, in her one good suit — black with white buttons — stepping into her suite at New York's famed Waldorf Astoria hotel, a 6-week-old infant in tow. I suspect it was a publicity stunt for a slow August news month — "Country Mouse Visits Big City Newsroom!" — but it worked. The big city newspapers roared. The New York World-Telegram published a photo of her with Mayor Fiorello LaGuardia, who is handing her a giant three-foot pencil instead of a key to the city. But it was another headline that got to the real story: "Sorrow Inspires Mother to become Prize Writer." In less than a decade of marriage, my grandmother had borne five children, and buried three of them in a cemetery outside their town. When her 2-year-old daughter contracted dysentery from a visiting farmhand and died on Christmas Day, it almost broke her. It was then that my grandfather — whom she'd met when both were contributing to a newspaper in Iowa — urged her to start writing again about the modest but beautiful life that still remained. 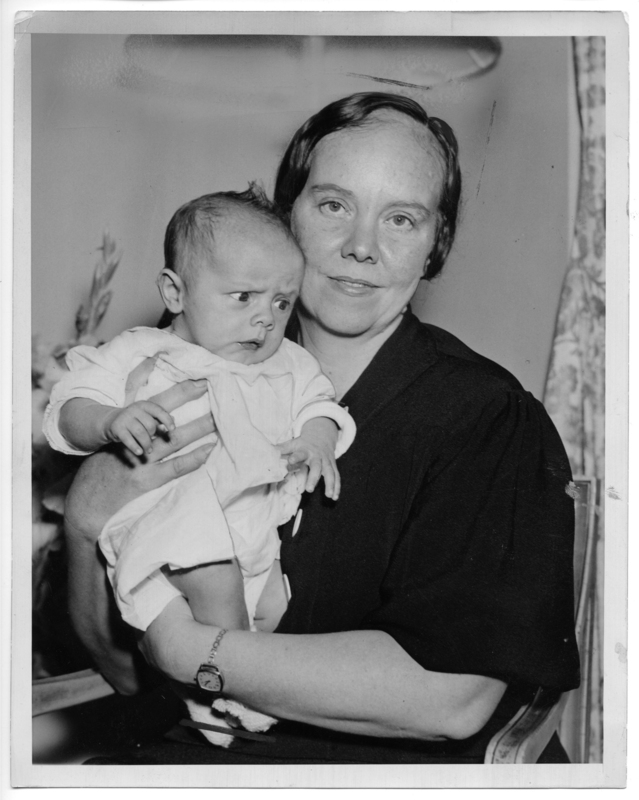 Eisele is shown here with her son (and the author's father) Albert Jr. in 1936. Eisele found out she had won the County Home contest the same day she gave birth to Albert, her sixth child. So she did: in columns about little boys making snow forts in a chicken coop, lost mittens, flax fields and second-day cake. Her prize-winning column was called "Threshing Time" — a wry piece about the unsung work of cooking and cleaning for all the neighboring farmers who came to harvest the wheat. Susan expected writing like this would amuse the "heartless, nervy" big city reporters, but to her surprise they took her seriously — and took her everywhere: Chinatown, Harlem, the Bowery and night court; Radio City Music Hall and the Stork Club, where she pronounced the drinking "spectacular, but amateurish" and thought the showgirls would eventually settle down as nice wives and mothers. My grandmother was stunned to find the reporters so friendly — she had worried they'd make fun of her as a country rube, slay her "with sharp tongue and pen." But judging by their many stories, she and the hard-boiled newsmen — and they were all men — hit it off. Walter Winchell liked her so much he traded columns with her, writing for her farm-reader audience as she shared her impressions of New York with his. "In the East, we Midwesterners are regarded with amazement," she wrote of her trip. "It is hard for them to realize that we are the same people that they are. That we dress, act and think just like they do. Sometimes we think Easterners regard us a people living in a far-away land." My grandmother never returned to New York. But all her life, she was in love with the city. She believed New York should belong to all Americans, "as London does to England, and Paris, to France." Last month my sister and I took my recently widowed father to the Waldorf again, 80 years after his first trip there as an infant. This time the hotel didn't need to find him a rocking chair. Instead we poured a glass of champagne, toasted my grandmother, and marveled at the twinkling lights of the Chrysler Building outside our windows. Then we turned out the light.